The Government of Canada has been clear that they will not negotiate in public or through the media. Dairy Farmers of Canada (DFC) respects that. Suffice to say that DFC is unsurprised by the U.S’ position; their demands on dairy and other supply managed goods are in line with what they have tabled for other sectors across the board – they are outrageous. Every demand by the U.S, across every chapter in these negotiations, is an overt denial of Canadian and Mexican sovereignty. Collectively, they represent a blatant attempt by the American administration at creating an international economy where all other nations are subservient to the United States – one where American domestic policy ‘Trumps’ all others. Thankfully, this will never become reality. This isn’t the ‘Art of the Deal’, nor is the re-negotiation of NAFTA the same thing as aggressively negotiating the construction of a building in Manhattan. Unlike takeover bids forged in a boardroom, the only way a trade agreement can happen between sovereign nations is if the negotiated outcome is viewed by all participating nations as coming with some tangible benefit to their respective country. Based on the demands the Americans have made in these negotiations to this point, the United States is seeking a re-negotiated NAFTA that is significantly better for them alone, and significantly worse for Canada and Mexico. Unlike a business deal where, in some cases, one of the parties has no choice but to accede to unfair demands, there is no way that any self-respecting sovereign nation should accept a trade agreement that would leave them in a worse position than where they started. Unfortunately, it is clear from his approach so far that President Trump views Canada and Mexico not as sovereign nations, but as client states. With all due respect, President Trump may be the leader of the United States, but he is not the Prime Minister of Canada nor the President of Mexico; he has no jurisdiction over Canadian or Mexican domestic policies. If the goal of the re-negotiation of NAFTA is to annex Canada and Mexico as American territories, the President should just be honest and say so! On the other hand, if the goal is to come to a mutually beneficial deal that would not amount to political suicide in any of the three nations in question, the U.S may want to re-think their approach. 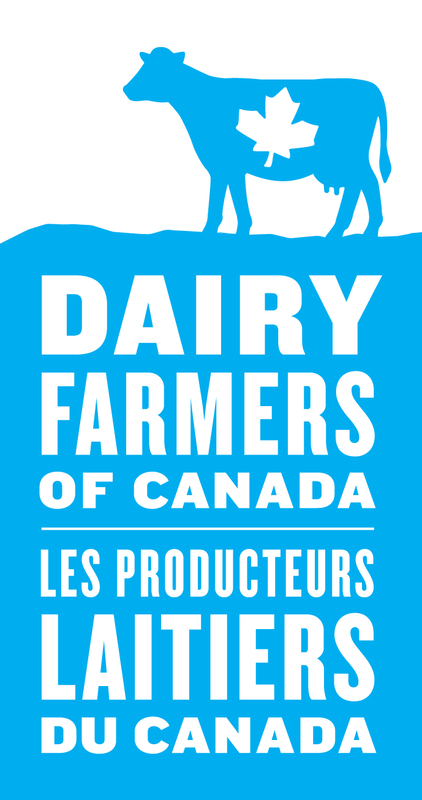 DFC has had a presence on the ground in each round of the re-negotiations, and we continue to work closely with our provincial members, the Dairy Processors Association of Canada (DPAC), and our supply managed partners (chicken, eggs, turkey and hatched eggs) on this file. Many of our provincial members have taken part in previous NAFTA rounds. We have attended meetings together, compared notes, shared information, and developed strategies – dairy farmers should take comfort in the fact that we are not alone in facing this challenge; the entire supply managed sector is united. I expect the contingent from DFC will be bigger as the rounds continue to unfold; a greater number of provincial dairy representatives are likely to join us on the ground in the future. DFC maintains an excellent relationship with the Government of Canada and the Canadian negotiating team – who have been sharing information with our representatives as they get it. The lines of communications are open and have been used often, to our great satisfaction; the Prime Minister’s Office and Minister Freeland’s office are always available to meet with DFC and answer our questions. The government has been very clear about their continued support for supply management and dairy. We remain confident they will stay true to their word. In Canada, a lot of attention has been devoted to the impact of dairy on the NAFTA re-negotiations; however, it is important to keep in mind that for the U.S, dairy is comparatively low on the priority list. There are numerous sectors with a much greater impact on the U.S. economy than dairy, including automotive, steel, and textiles, to name a few. Furthermore, when it comes to dairy, there really isn’t a ‘problem’ to solve -- the United States already enjoys a positive trade balance of 5:1 with Canada -- the only problem currently plaguing the U.S dairy industry is their own overproduction. However, as we have already discussed in a past blog post, Canada has less population than the state of California, and it is already saturated with high-quality Canadian milk. For the U.S dairy industry, the Canadian market is not a saviour, it is a drop in the bucket. When it comes to dairy, the only solution to the U.S’ problem is to regulate their production – it isn’t to dump their heavily subsidized milk in Canada. Nothing has been quite the same on the world stage since President Trump was elected; the re-negotiation of NAFTA faces the same reality. If the goal of the U.S. team is truly to secure a re-negotiated NAFTA that is viewed as a ‘win-win-win’ for all three countries (as opposed to ‘take take take’), then they might want to re-think their approach and propose items that can be discussed constructively. In the absence of such an approach, the likelihood of either Canada or Mexico accepting harsh and unfair demands should be slim to none. Fortunately for citizens of Canada and Mexico, this isn’t an episode of ‘The Apprentice’. When it comes to NAFTA, neither of our Governments can be fired by President Trump if they don’t give him the answer he wants.